Today I show you a look very summery because this weekend Canary temperatures have reached 40 ° C, horrible! The photos were taken in the town of Guimar, in front of this beautiful shrine surrounded by flowers and is very well preserved by the people. 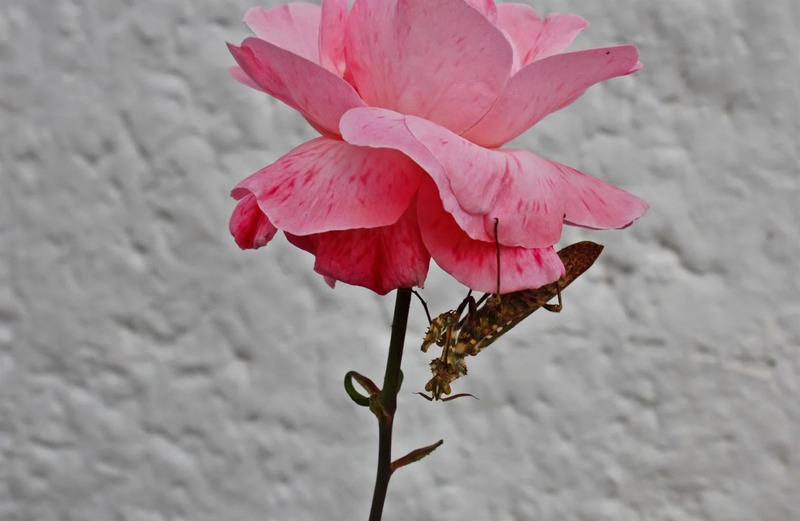 In addition, throughout the photo session was very well accompanied not only by my photographer but also a nice little friend .... perched on the pink flower.